At about 5 to 8 this morning, our database server crashed badly; I am still looking in to what happened. I have re-installed the MySQL server and data from backups and currently testing. I don't think that any posts were lost. 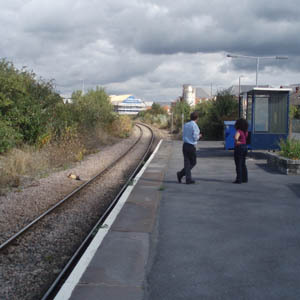 Swanage - extend service to Wareham; add regular trains to provide genuine public transport service along with heritage traffic. 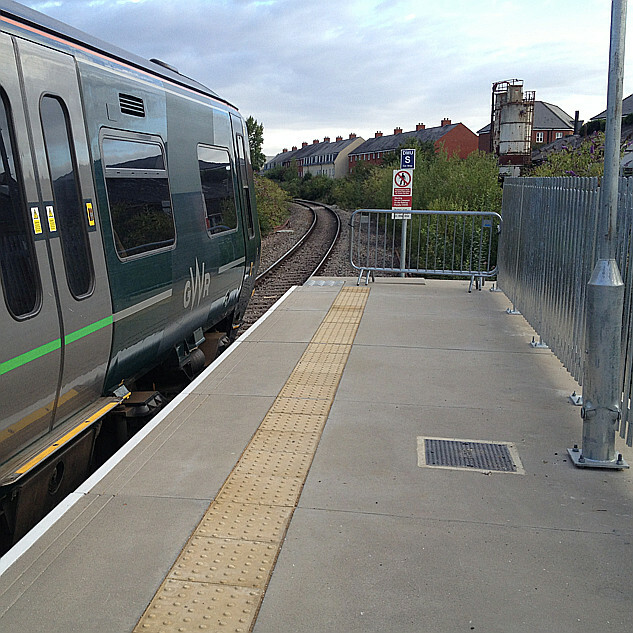 If slam-doors are safe for a preserved line, surely they're even safer for the regular user that the line would build up? 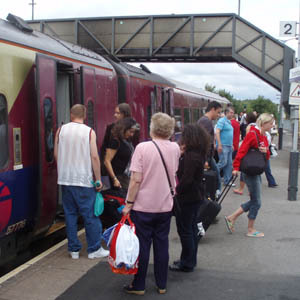 Minehead - extend regular service to Taunton. Didcot - to be the base for a tourist (and I'm looking at tourist from overseas too here!) 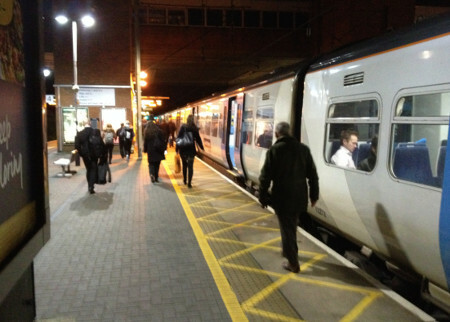 service from Oxford to Salisbury. All three of the above are seriously extending the "season" - and I am going so far as suggesting a week-round, year-round operation. That could also apply to Kingswear, where there's an argument for an extension to Newton Abbot, giving a single-change London connection from Kingswear and Churston-for-Brixham. How to fill platforms, and railway company coffers too! Two West Wiltshire stations, each serving towns with a population of between 20 and 30 thousand. The biggest difference? One has two trains a DAY each way, and the other has two trains an HOUR each way. 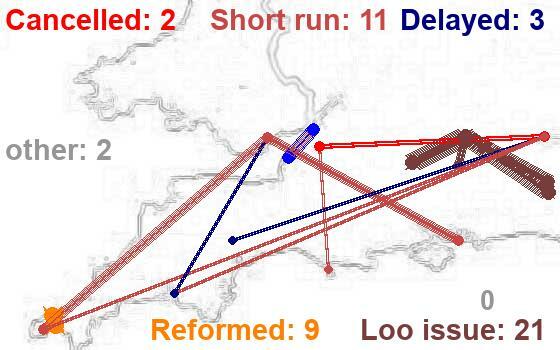 The road network of West Wiltshire is not suitable for longer distance journeys between North and South - and only a huge investment would improve this. What's the point im making that huge investment when there's a perfectly good railway corridor that's underutilised and that people WOULD use. This Monday morning on the Transwilts started with a cancellation - the very first return trip of the week failed to make it, making this (already) the third week out of four that we've suffered cancellations - and we have so few trains anyway that even one round trip cancelled is already a service that's 3.5% down on what it should be - more that twice the objective that's set by the Department for Transport for the operator. Oh - in two of the past weeks, the cancellation rate was around the 10% mark. This evening, I'll be attending the talk in Trowbridge by the DfT's guy in the South West - the one who's job it is, as I understand it, to represent the region / area to Central government. If I've understood his role correctly, he clearly failed to get out point across strongly enough for it to have any effect on the service's future - decimated next month - and I fear that we'll not get any great sensible change of heart tonight. It rather seems that the Department for Transport and First Great Western have washed their hands of the TransWilts, and Melksham, and would like us to just fade away. "It's the easiet train for us to cancel" said a First correspondent recently - "we don't care about this service" would have been another way of putting it, perhaps. Times are far, far better now ... but it does feel sometimes as if there are still vestiges of the old setup reflected in that last quotation. This morning, 4 cancellations were showing for today on the TransWilts, and none at all at that time across the rest of the GWR network. We still have work to do - although we work far better in partnership than purely in protest these days. 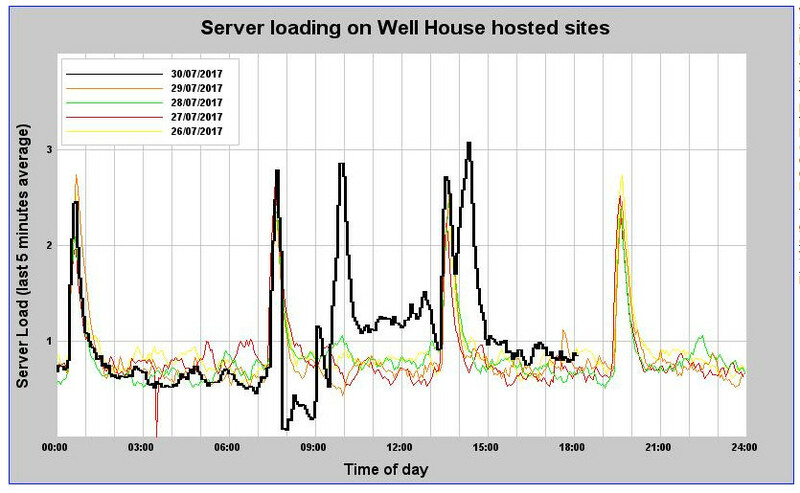 All seems to be running sweetly; my web server load graph shows what a turbulent day it's been! which are also effecting our dynamic backups. I may knock the forum offline for a couple of short periods during the dy to fix. Seems to be problems tonight as well. Most pages I try to look at get one of these messages at first. A refresh usually loads the required page. I took a further look around - someone drawing so aggressively that it was turning into a denial of service "attack" though - I'm pretty well certain - an unintentional one. Odd issue with one table this evening ... may have it fixed; this is a test post. We (at home) reconfiguring our broadband yesterday / today - grotty day to have to fix stuff; may be a bit slower than usual!